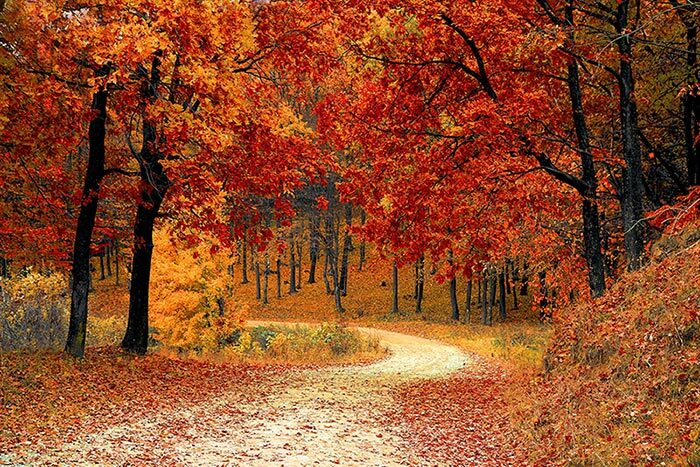 Autumn has officially begun! The season brings with it its splendorous colors and cool temperatures that give you the opportunity to add a touch of coziness to your events. Here are 10 seasonally inspired design elements that will have attendees celebrating the new season. The low-lying autumn sun casts long shadows. Take inspiration from this and book a shadow show for your event. These 10-15-minute shows showcase acrobats using their bodies to create spectacular silhouettes. Chesterfield sofas and chairs are a design classic, but where summer’s events embraced them in flashy fabrics of white, silver, gold and pink, they will now return to more understated tones. Tan, brown and oxblood Chesterfields will add elegance to events this season. Make guests feel like lairds of the manor with an exclusive whisky bar. Provide a selection of pours and a knowledgeable bar tender to take them on a journey through the Scottish Highlands. If any element of your event involves going outside, keep your guests cozy by providing blankets they can borrow to wrap up in. Opt for tartan prints in purples, reds, greens and browns to combine comfort and style. Use items collected from nature and rustic containers, such as these mason jars, to create seasonal table decorations. Acorns, conkers, corn and cloves bring rich colors and visual interest. Meanwhile, add essential oils such as cedarwood, cinnamon, nutmeg and orange to make them smell as autumnal as they look. Falling leaves, like nature’s confetti, are one of the most delightful aspects of the season. Recreate the aesthetic inside with a multitude of leaf-shaped lights suspended from the ceiling at varying heights, as if gently floating through the air. If you can’t get enough of sweet treats, indulge guests with a doughnut wall. Go for a choice of chocolate covered or glazed or get creative with the varieties. Either way, they’ll look like a delicious work of art vertically displayed. Hay bales are perfect for creating that ‘harvest vibe’ in autumn time. Use them for informal seating, rustic side tables or simply for artistic value. It’s good to get something warm inside on chilly days, so why not offer guests an extra special coffee break? Set up an artisan coffee station with a selection of exotic beans and a barista to explain what’s what.